Click on “Create new survey”. 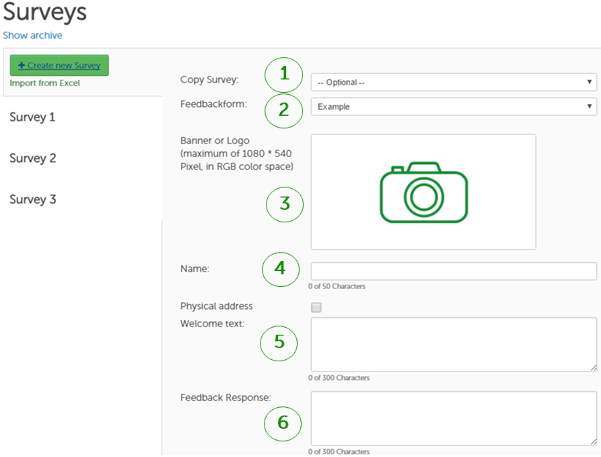 If necessary, you can copy the settings of an existing survey. Assign a questionnaire to the survey. Upload your logo or banner. Assign a name to the survey to make it easy to find. Add a custom welcome text. Thank the respondent for his/her opinion.